The wind was blowing heavy when the biggest branch broke off the tree. So big it shook the ground and caused all the other branches to fall off. The tree barren and embarrassed quickly began to sprout new leaves and even though it was winter leaves began to bud. It had to be…the tree couldn’t go on that way. So the buds on the broken limbs took off immediately. It was a mild winter…no snow…not in California anyway. In no time the tree sprouted glistening green leaves all over stubby growing branches. What, how did this happen. But once said, it was over. And they went about their routine business again. 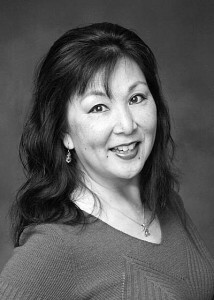 Genie Nakano is widely published in journals, and her recent books, Enter the Stream and Storyteller are available on Amazon. Genie can be reached by email. Genie has captured the essence of resurgent Nature through the eyes of children and reminds us that awareness is all we need to share in these simple joys. You are the poet who expresses and appreciates simple joys. Thank you for your wonderful comment.